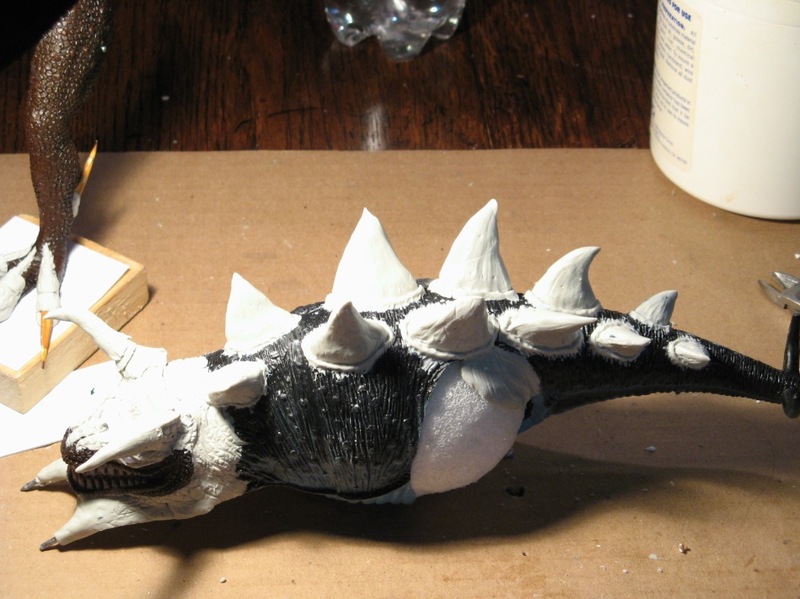 I thought it would be nice to share some pics of a dragon mini I painted eons ago. It is an old dragon miniature, from Grenadier (same collection as my blue dragon in this other post). What is interesting here I think is the use of 2 unusual objects for the diorama: the base of an antique desk lamp and a glass globe, used for exterior porch lamps. The diorama of the dragon, complete with the tree and dead horse, was made on a small round piece of plastic, glued with epoxy to the metal lamp base. 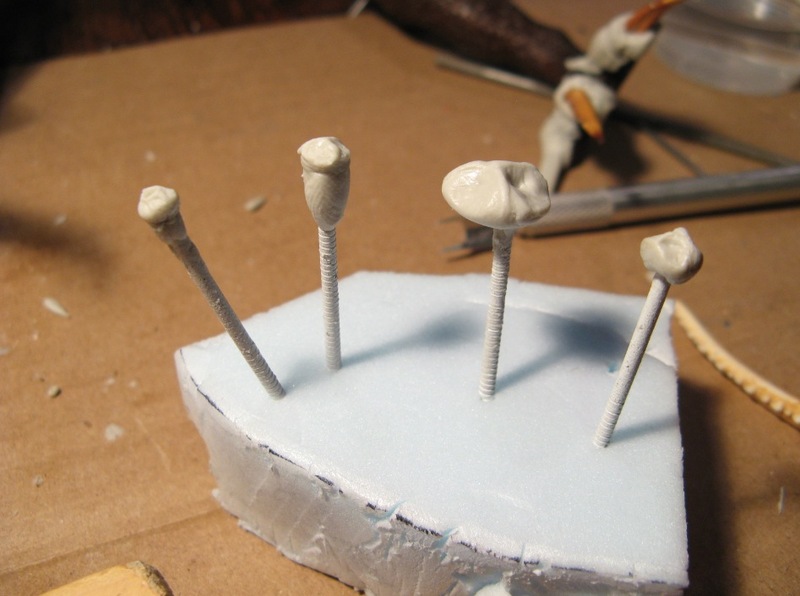 The glass globe is held in place with plumber putty, but It could have been “glued” with silicon or even epoxy. Overall it is quite an impressive piece and looks terrific in my office. I hope you enjoy it to. Some photos of my completed Tomb Kings skeletons from Games Workshop. 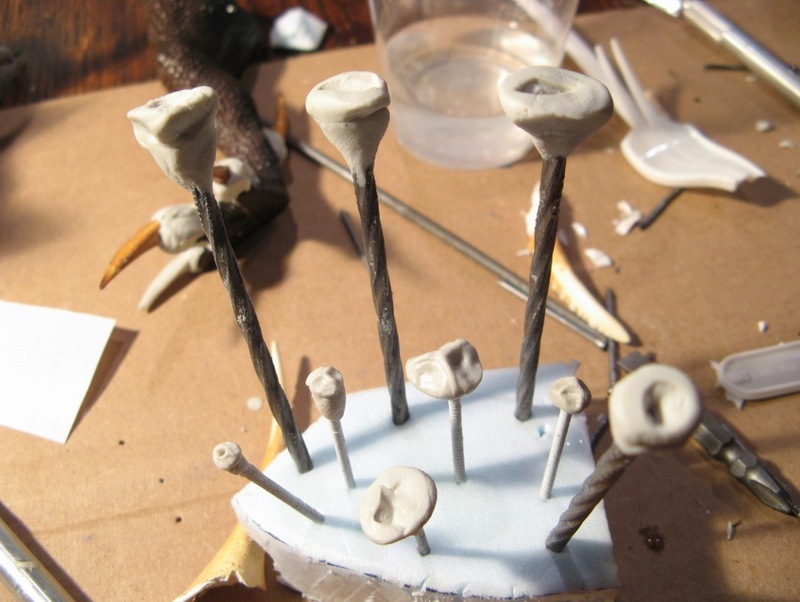 I don’t like the cartoonish look of these minis, but I needed a lot of skeletons for the gaming table and I wanted something cheap: I paid 35 $CAN for 16 minis, which is good. I bought these a while ago, before Mantic Games made their line of skeletons available (damn!). 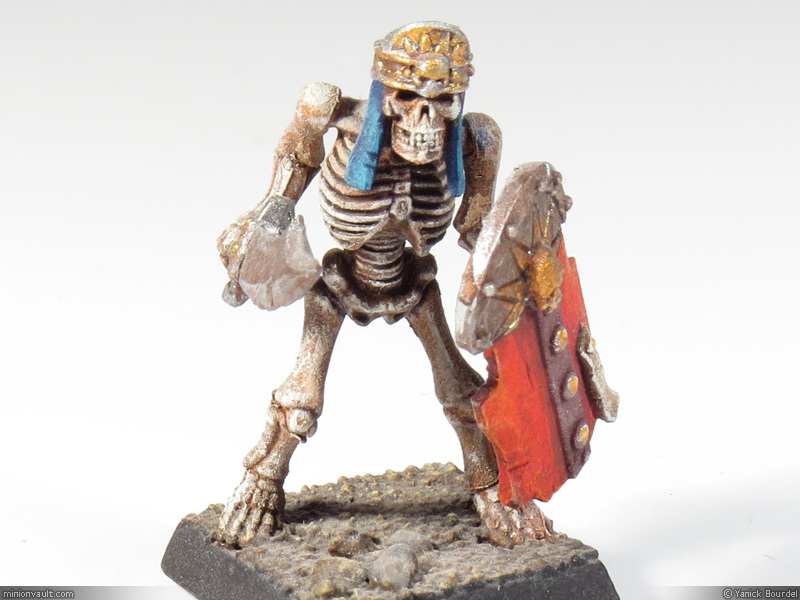 I find Mantic Games skeletons more realistic and I definitely would have preferred them over GWs, but it’s ok: my current minis are just fine for gaming. 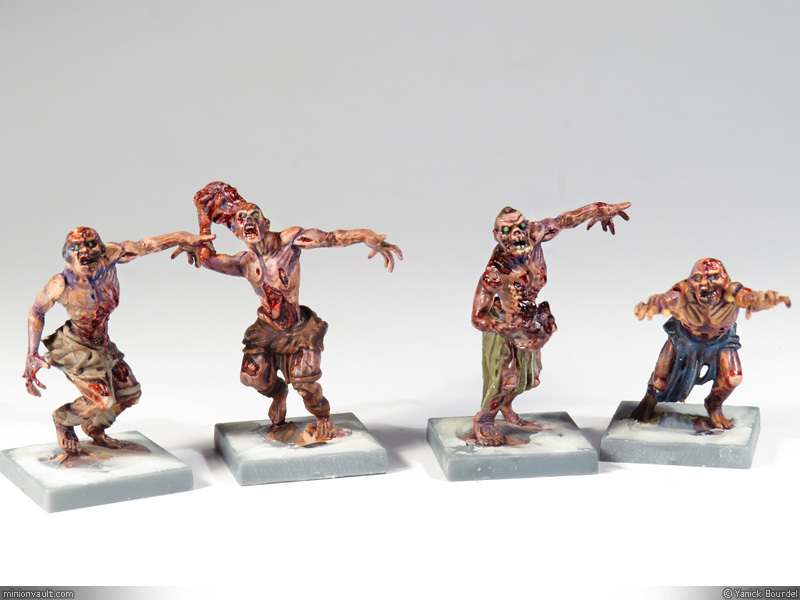 Zombie minis on the market are of uneven quality, and available in various degrees of ‘realism’. 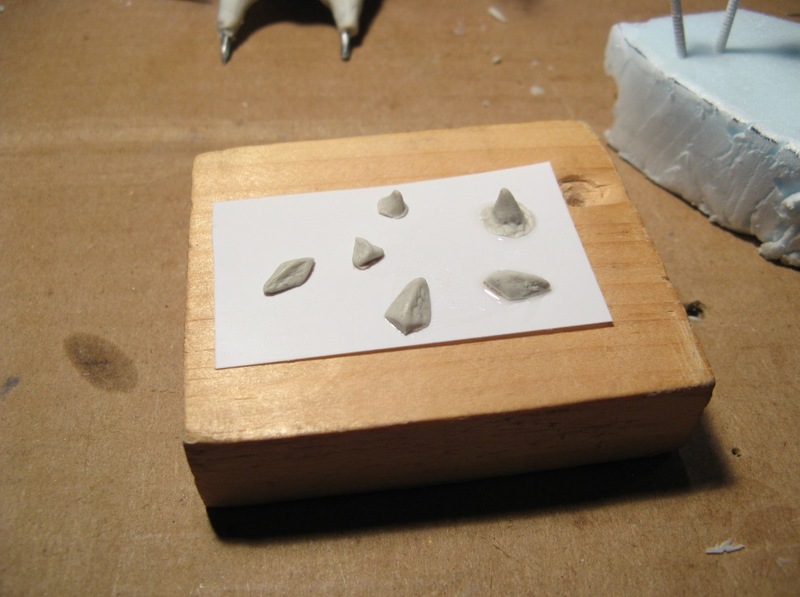 So, if you want a swarm of nice looking zombies for your gaming table, it can get quite expensive. It is hard to vary the poses enough to get very different looking zombies (lots of extended arms). But still, the overall effect of the horde is quite cool. That’s why I got interested in Mantic Games line of minis. 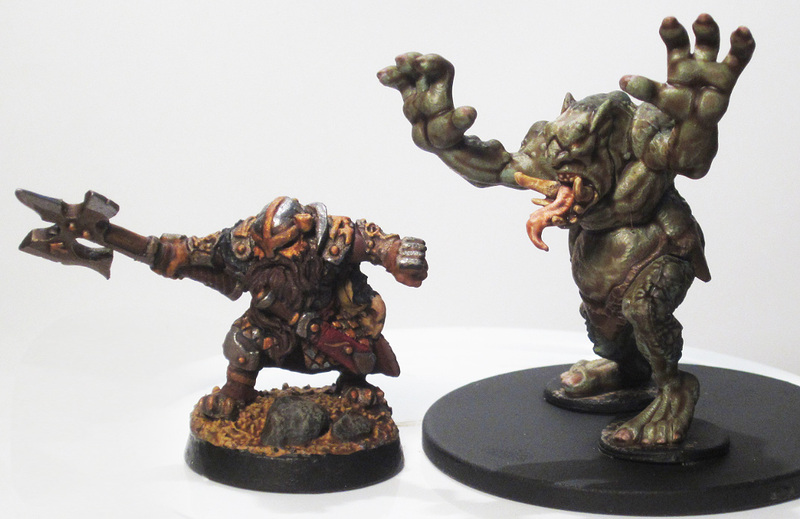 They are much cheaper than most minis out there, quite detailed and less cartoonish than Games Workshop plastic minis. 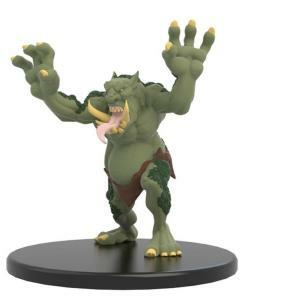 My first order with this company was for a pack of zombies (later, I also purchased 2 packs of orcs, which you can find in some other posts on this blog).